Nancy Koltes Bedding St. Germain Duvet & Sham - Swatches may be available. Evocative of the bustling Latin Quarter, St. Germain was inspired by the bountiful anemones and vibrant sprays of color found in Paris famed flower markets. The elegant and simple floral motif will transform your bed into your own chic Parisian retreat. 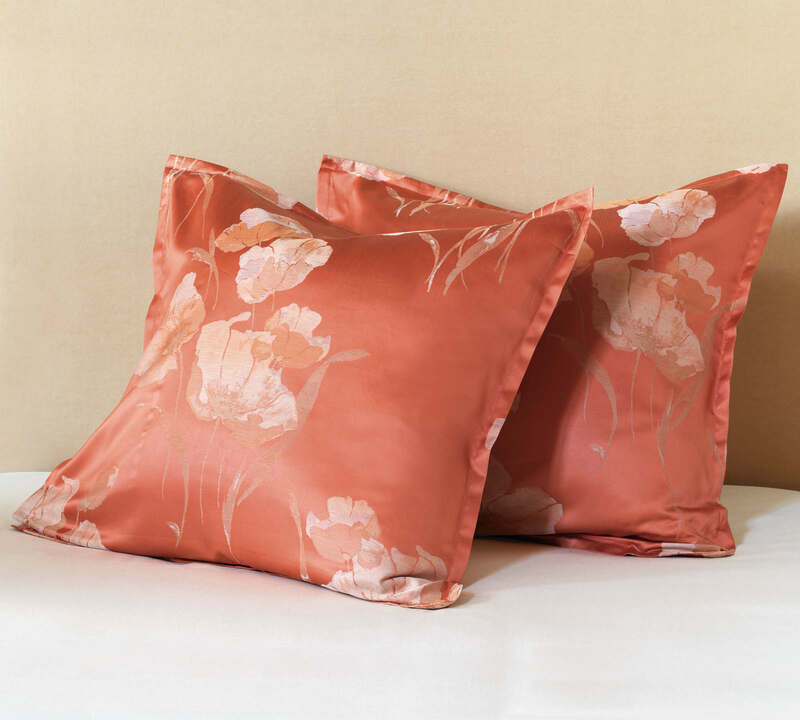 Woven in Italy of the finest 550 thread count Egyptian cotton. 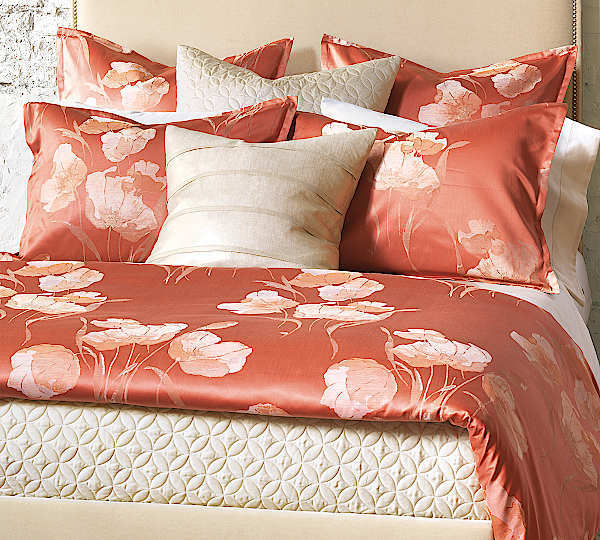 NOTE: The above bedding photo includes Savoy Sand Sham & Shimmer Gold Decorative Pillow.